Car-makers love a bit of savvy, exploitative marketing. A cursory glance at current model campaigns in Australia reveals myriad examples where the badge doesn’t necessarily fit the car: Black editions, Black packs, Sport editions, R editions, RS versions – there is no end in sight! Jeep, on the other hand, adopts a different tack. It stands by the ethos that a badge or sticker applied to any one of its off-road models should be earned; which is why it let motoring.com.au loose on America’s most difficult off-road track to test the merits of the 2019 JL Jeep Wrangler Rubicon, due in Aussie showrooms early 2019. Let’s not beat around the bush: the new Jeep Wrangler Rubicon is really good at beating through the bush. So good, in fact, it makes America’s gnarliest off-road track — and the inspiration for its name, the Rubicon Trail in California — look like child’s play. In four-wheel driving terms, the 2019 Wrangler conquers the 35km Rubicon Trail in the same ease with which former Prime Minister Bob Hawke can smash a schooner of beer. The ‘JL’ Jeep Wrangler will arrive in Australia later than expected in the first quarter of 2019 with a new interior, modern safety, sharper on-road handling and the same legendary off-road acumen. Pricing and final driveline specifications are yet to be confirmed, but judging by its opening audition in the US, this is a Wrangler that begins to embrace the skillset of a quasi-gentrified, road-going SUV. With some inherent compromises, of course. The difference is that this one can and will go the extra mile. Jeep engineers undertook a significant revisit of the Wrangler concept when devising plans for the latest JL derivative. In a development journey that took in testing across multiple countries (including Australia) and nearly 250,000km, stakeholders set about turning out a car that essentially offered “more of everything”. The key engineering updates read accordingly: the Wrangler’s wheelbase was stretched by 2.5 inches for greater on-road amenity, its steering changed to an electrically-assisted hydraulic system, it received a steeper turning angle and improved wheel geometry for a more effective turning circle, and it scored a full-time transfer case. The changes have been undertaken against a broader directive of whittling down the Wrangler’s weight. In the end, 90kg was spared between the predecessor JK and new JL, thanks to use of lightweight, high strength aluminium doors, hinges, bonnet and fenders, along with other factors. There was also some key drivetrain updates: the introduction of new turbo-petrol and turbo-diesel engines, along with the advent of a new eight-speed automatic gearbox. Australian specifications are yet to be confirmed, but essentially, the Wrangler will likely be available in at least three different grades across two-door and four-door shapes: Sport, Overland and Rubicon. Within that, there will be at least two engines available: a carry-over 3.6-litre petrol V6 and a turbo-diesel unit most likely to be a circa-150kW/450Nm 2.2-litre four-cylinder. Australians are unlikely to see the V6 turbo-diesel available in the US, or the 2.0-litre turbo-petrol four offered in Europe. All Jeep Wranglers send drive via an eight-speed automatic transmission at this stage. Jeep remains coy on the prospect of a manual for Australia, but given fellow right-hand drive markets Japan and UK both miss out, the forecast is bleak on the self-shifting front. There are, however, key (and much needed) updates inside the Wrangler’s cabin. 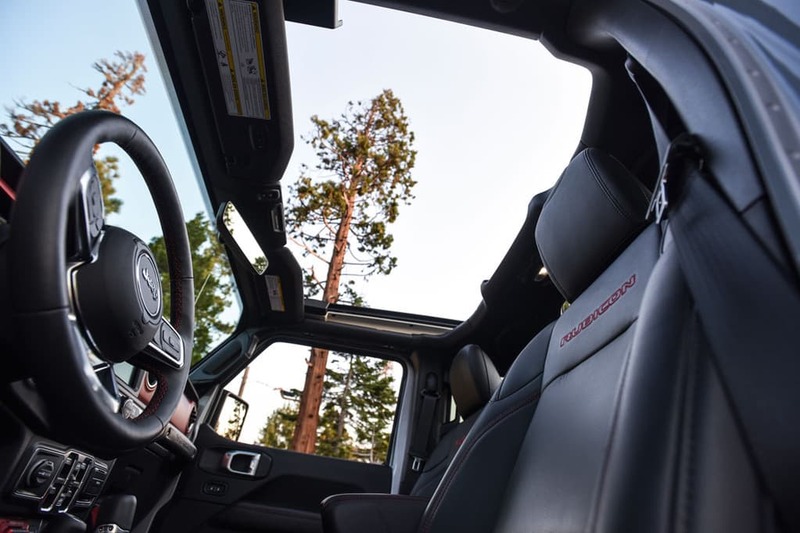 Soft-touch materials now adorn the Wrangler’s contact points and its infotainment system uses the latest version of Jeep’s UConnect software and is accessed by a much cleaner, more advanced 8.0-inch interface. Jeep has also revisited everyday solutions like the removable roof panels, which now feature a streamlined design. Of course, all of this change came in the face of a constant challenge to remain in keeping with the Wrangler's rich history and, more pertinently, its ability to demonstrably scale tricky off-road terrain. The biggest test resides on the Rubicon Trail, situated within the stunning Sierra Nevada valley in California. The 2019 Wrangler makes relatively easy work of the Rubicon. Proof? We managed to scale in and out of the treacherous 35km track in a standard vehicle without locking the differentials for additional traction. Moreover, it does so in a way that cossets occupants unlike any Wrangler before it. Chief engineer for the Wrangler program, Brian Leyes, says comfort was one of the key engineering mandates for the JL, both on and off the road. “The whole way through development, the first thing that an executive would say upon jumping in a prototype would be: ‘it rides so well!’. That was music to our ears,” he said. 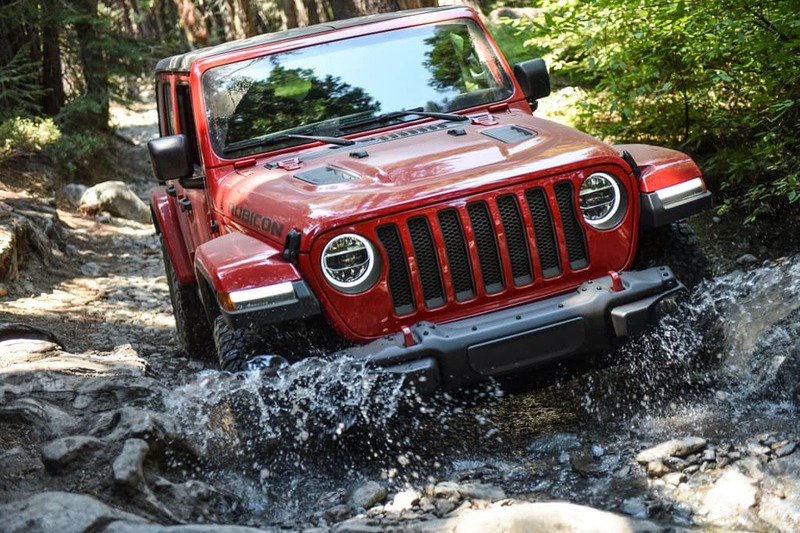 As such, the Wrangler balletically ambles its way uphill, sway bars disconnected, in the same way a duck would paddle through water: from behind, where wheel articulation is at its most extreme angles, the Jeep appears to buck and weave over underlying rock in a fierce scramble for traction. But from the cabin, the car largely diffuses the terrain underneath by cosseting occupants in a way that no other Wrangler has managed before. A body-on-frame chassis design, five-link coil rear suspension, 33-inch tyres and live axles fore and aft ensure the Wrangler adequately deals with the rough and tumble of the Rubicon Trail, its wheels articulating to awkward extremities. Jeep revisited the car’s approach, breakover and departure angles (44 degrees, 27.8 degrees and 37 degrees respectively for the Rubicon) and increased water wading capacity to 760mm. In addition, wheel articulation increased up to 200mm, while minimum ground clearance was scaled up to 277mm. Light low-speed steering and linear, predictable throttle response from the tried-and-tested V6 engine imbue the car with a true surefootedness on gnarlier sections of track. Moreover, adequate outward vision front and rear allow the driver to gain an acute sense of where the vehicle is positioned on the road – or track. The V6 is predictably well aligned to off-road duties. It will happily amble along the Trail under its own power, and will similarly develop adequate dollops of torque when beckoned; while climbing out of steep crevasses, for instance. Arriving at Cadillac Hill, a well-known section of Trail named after the trials and tribulations of an ill-fated passenger car, the Jeep never feels out of its comfort zone, despite an imminent cliff plunge and tight navigating between boulders. The body roll and pitch that feels so accentuated on the road is perfectly tailored to off-road duties, allowing the car to amble along without risk of occupant kidney failure. Vehicles fitted with a Mopar-sourced two-inch lift kit only reinforce the Wrangler’s off-road acumen, allowing the car to clear rock obstacles that a standard Wrangler would otherwise scrape over. Away from the Rubicon, there is an exponential improvement in the Wrangler’s road manners too. Aside from some inherent looseness to the steering, particularly on centre, and the requisite body roll through corners, the car’s 2021kg kerb mass (two-door model 1880kg) is decidedly better harnessed on-road. As a result, the JL Wrangler tracks truer on the road and sits flatter through corners, with steering that feels more direct, if a little slack around centre. The gentrification theme is supported by less road and wind noise entering the cabin than before. The engine and gearbox combination also appear better resolved. The V6 picks up progressively from a standstill, but fails to deliver peak performance until 4800rpm, when maximum torque is realised. It struggles to move the Wrangler’s heft with any great urgency when really pushed, but feels fit for purpose in this application.Another question mark for Australian roads hovers over the eight-speed automatic, which occasionally second-guesses itself on our short road drive. At highway speed, for instance, there are occasions when the eight-speeder chooses to hold onto a lower gear instead of shuffling higher in the ratios. It is also sensitive to throttle inputs, shuffling back unnecessarily. All told, the Wrangler still takes some adjustment during straight-line driving, as it tends to wander with ever-so-slight steering adjustments. But when you are afforded this level of off-road capability, the compromise is warranted. How much does the 2018 Jeep Wrangler Rubicon cost in Australia? 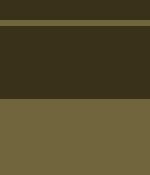 Last edited by Jimmyb; 20-10-2018 at 05:15 PM. Can hardly wait to see one in a show room!